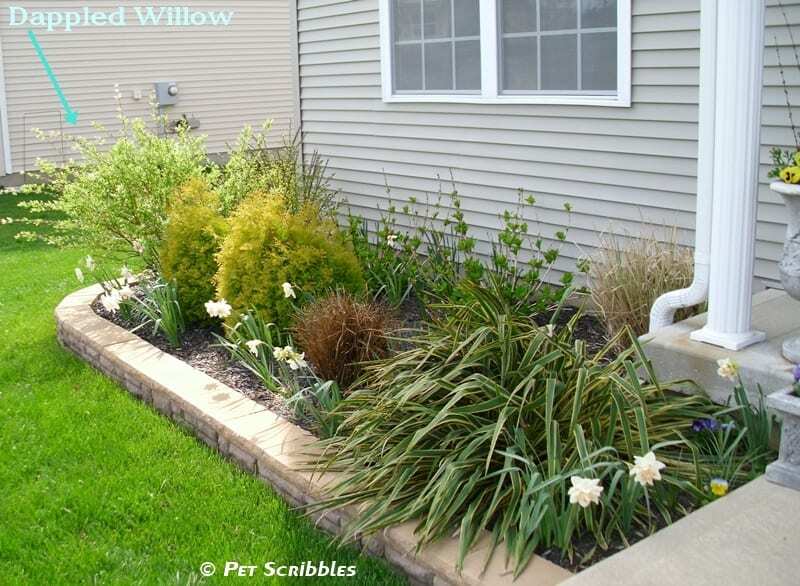 Dappled Willow: Your Yard’s Wet Spot Dream! 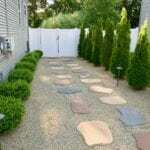 Do you have a wet spot in your yard? Do you want an easy-care plant that can handle wet spots? How about one with year-round garden interest and a massive amount of fake flowers each Spring? Wait a minute. Hold everything. Did I just say fake flowers? 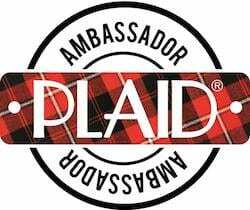 Yes I did, and you’ll have to keep reading to understand why! 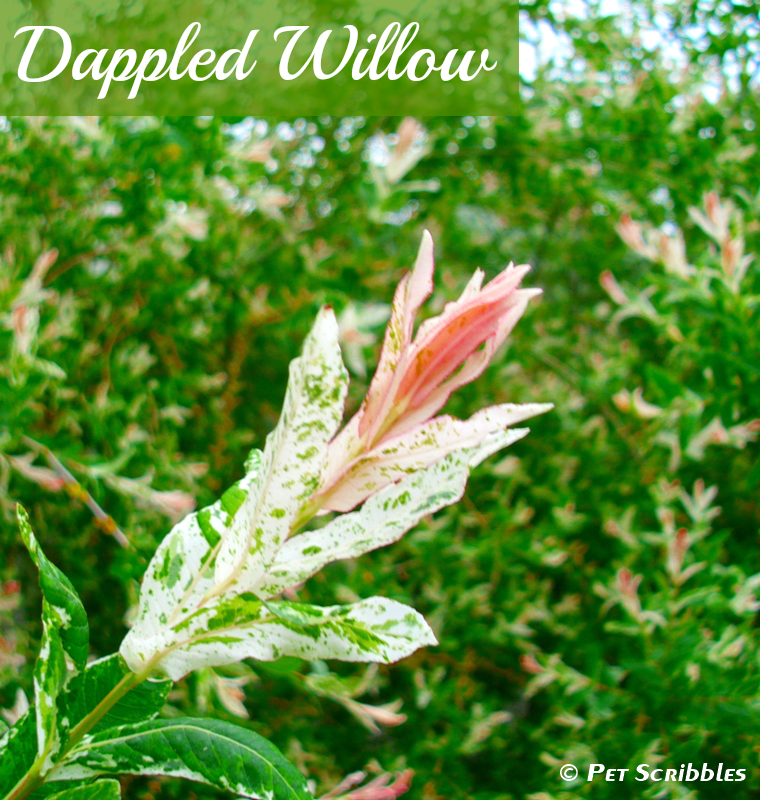 The plant of your yard’s wet spot dreams is Dappled Willow! Editor’s note: There’s a new update as of June 2016! The link is at the bottom of this article. Consider it Part Two! Once upon a time, we were new homeowners with an actual yard where we could plant trees and flowers and shrubs. It was a magical time. No longer would we be confined to container gardening on a deck or balcony. We headed to the plant nursery, which was my own magic kingdom as every type of plant I’d dreamed of growing was calling to me. As I had been reading a ton of gardening books to prepare for this special moment, my husband trusted my judgment on what to buy and where to plant everything. Big mistake. I had a major garden fail. Bought too much too soon. Rookie mistakes all over the place. Want to see? Here’s a better shot, below, to emphasize that I thought one shrub was not enough. No, I planted 6 shrubs close together. 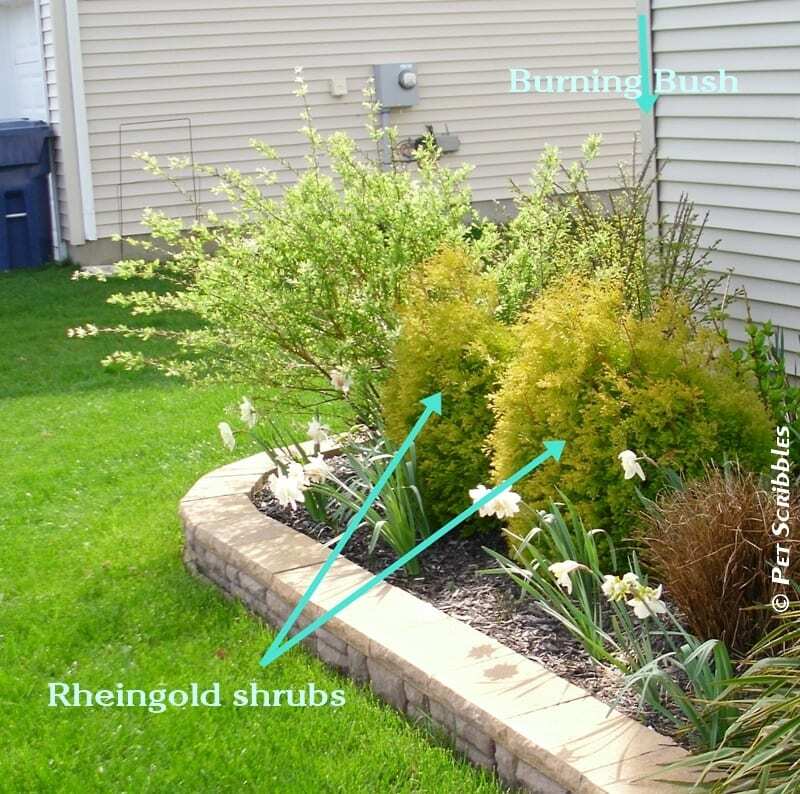 Because even though the plant tags said that the Rheingold shrubs would each spread at least three to four feet wide and tall, well… (Those have since found a permanent home in our back yard as well!) See the arrow pointing down on the right? That’s a Burning Bush, and to the right are two Endless Summer Hydrangeas. Here’s a better shot of the Burning Bush behind – yes behind – the Dappled Willow. Don’t judge. The Dappled Willow needed to be transplanted immediately! Of course there’s no pictures of it newly transplanted because this was BB. Before Blogging. Here’s the next picture available, of our Dappled Willow (below) in May 2011, one year after being transplanted. In this spot, we can let the Dappled Willow go crazy! 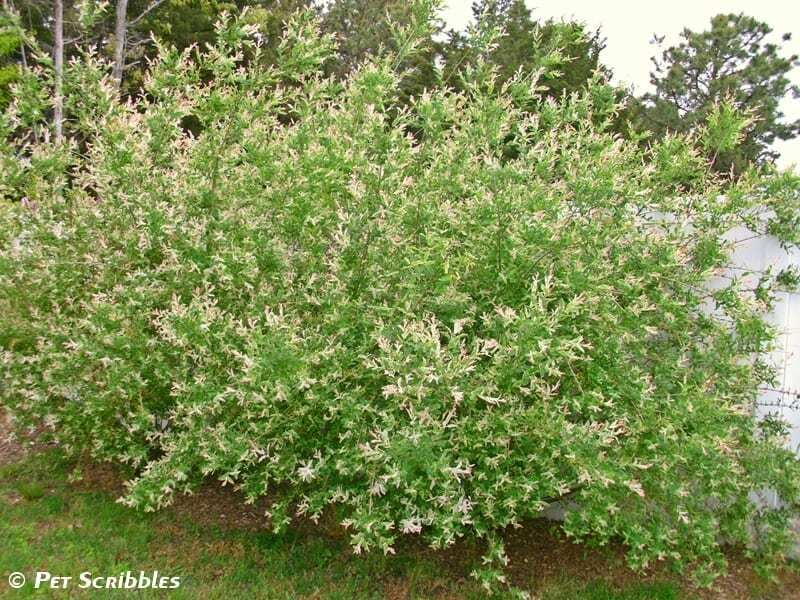 There are three Dappled Willow shrubs, all from the original plant, which I’ll explain in a moment. Much bigger and much more lush! 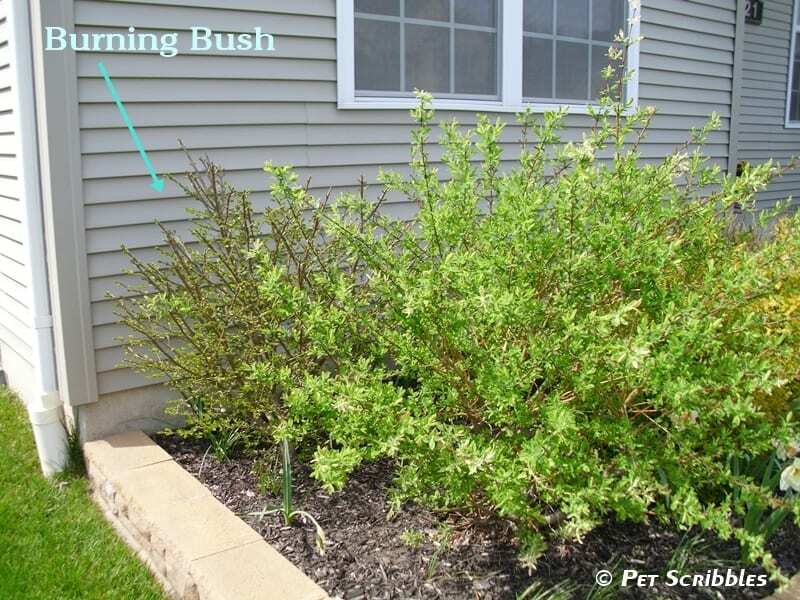 This shrub can be pruned as much as you want, or not at all. And you can prune it into various shapes and sizes too. 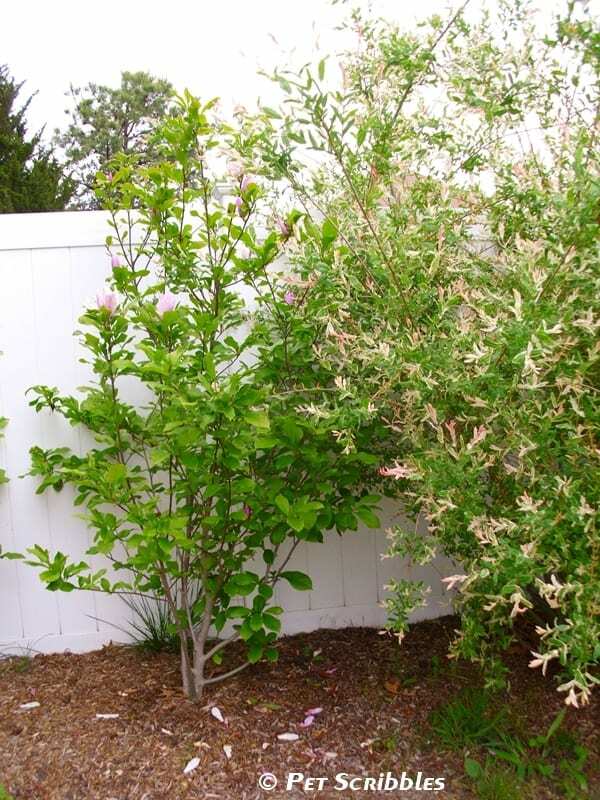 Here’s one of our Magnolia Jane shrubs next to the Dappled Willow. This side of our yard is so pretty in the Springtime with both the Magnolias and the Dappled Willow in bloom! But wait. I said in bloom, yet earlier I mentioned fake flowers. 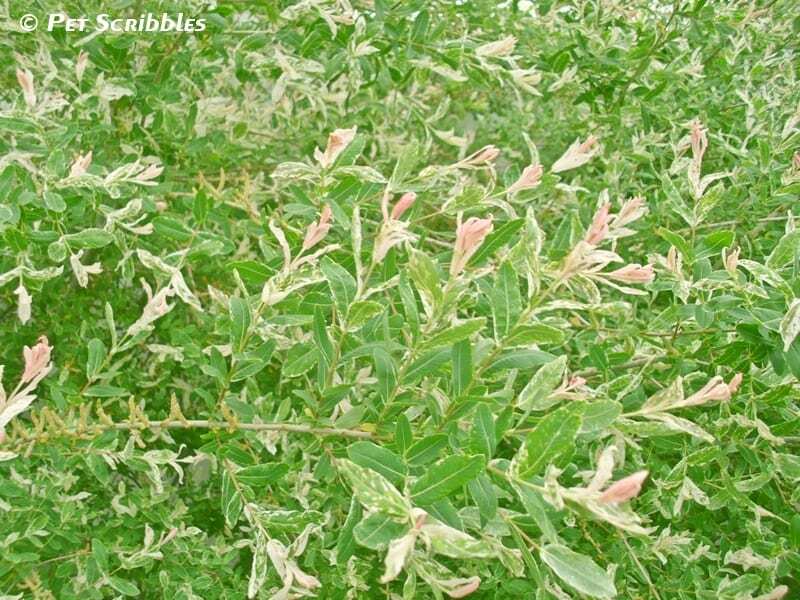 There’s a very easy explanation: new growth on the Dappled Willow is a pretty pink color each Spring. 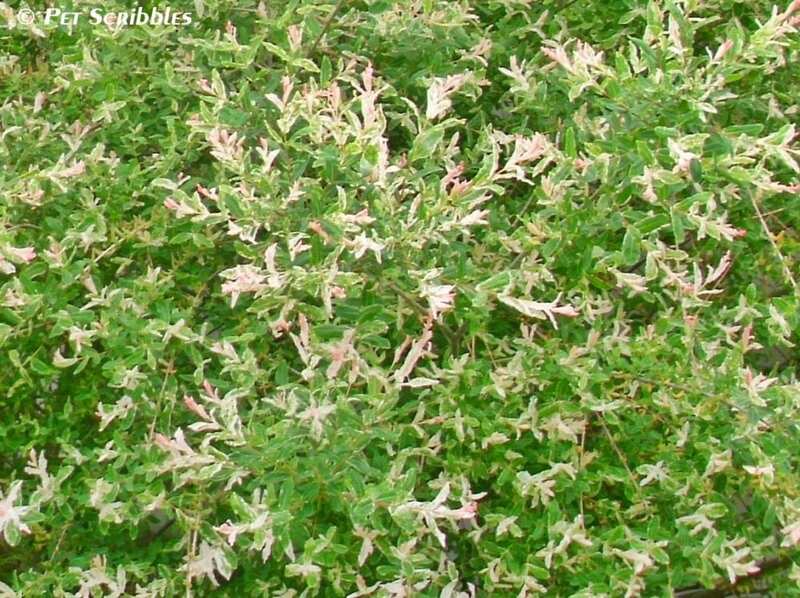 Many people mistake this growth as flowers, and they do look like flowers, but the pink is actually new growth! 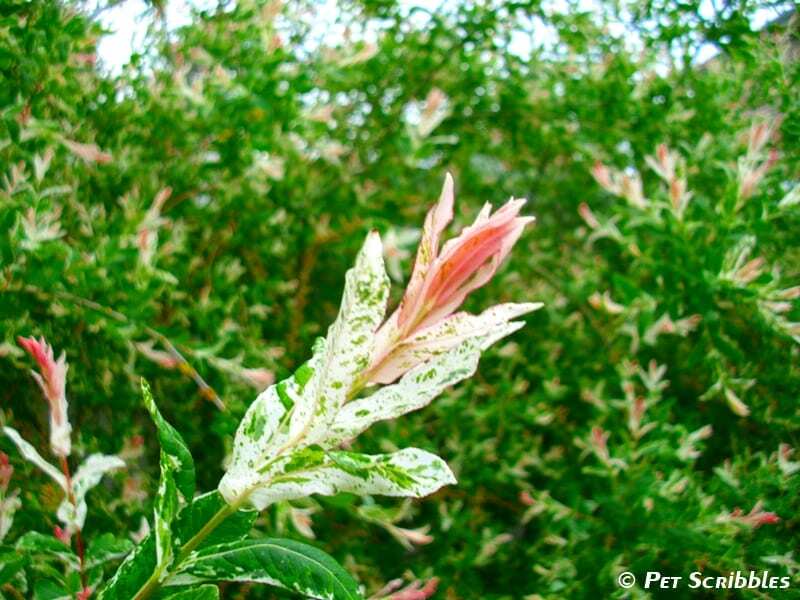 The foliage is a striking mix of green, white and pink. We had never seen anything like it when we first saw it on that magical day at the nursery years ago. Solves your yard’s wet spot problem. It’s an easy-care plant, as long as it gets enough water. 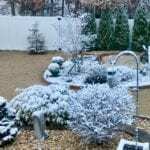 You can prune it to whatever shape and size you want, so this plant can fit into a more formal garden pruned in a circular shape just as it can fit into a more natural setting like our back yard where we let it grow. The new growth each Spring is a gorgeous site to behold. And this color explosion lasts a long time, versus some of the more fleeting Spring-blooming shrubs. 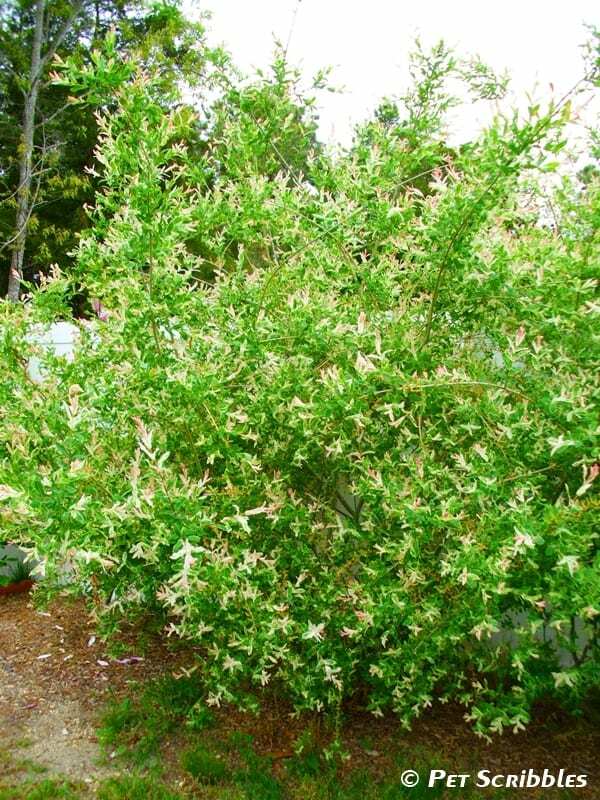 Dappled Willow provides year-round interest with its red stems in the late Fall into Winter into early Spring. The red color is not nearly as vibrant as Red Twig Dogwood, which is another plant I’d love to get my garden-gloved hands on someday, but it is a pretty shade against our white fence. 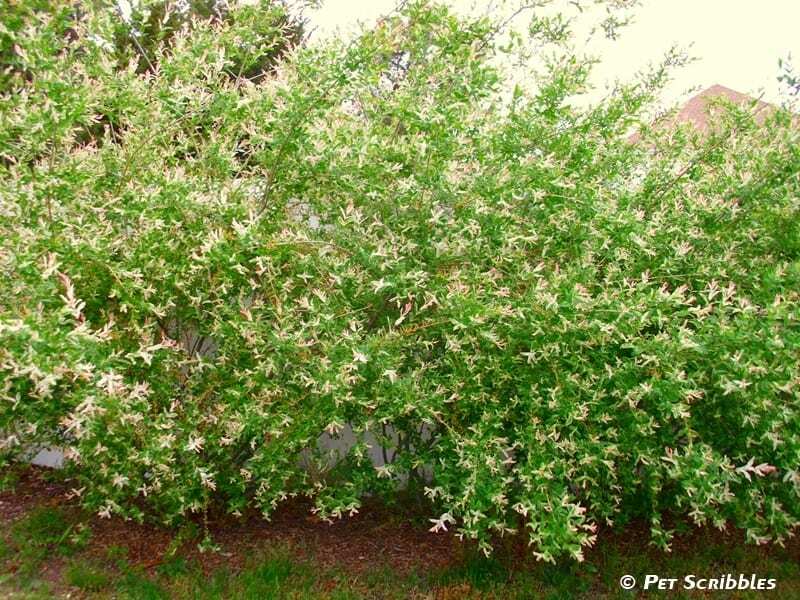 Dappled Willow grows well in zones 4 – 9, and needs partial to full sun. These pictures were taken yesterday. I’m excited to see the buds and leaves forming. 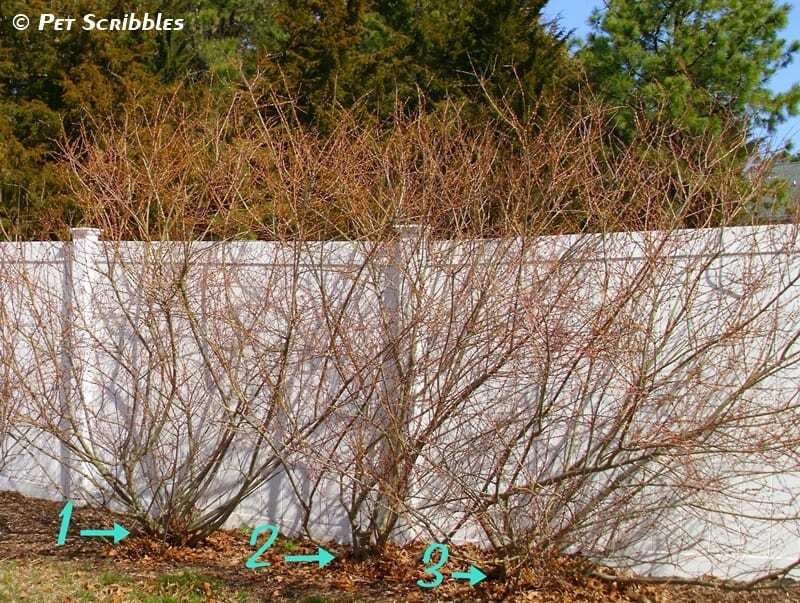 The newer stems are red, while the older stems – including the main trunks of the shrub – turn gray. In the photo below: 1 = the original plant we transplanted from our front garden bed. 2 and 3 = started out as just a single stem stuck into some dirt. And they quickly turned into fully grown shrubs. You know how it is: you need something to decorate with once all the Christmas decorations are taken down. It was too easy to just cut off a bunch of the red stems and stick them into the frozen dirt in the urns by our front door. I had no idea that come Spring, they would begin to sprout leaves and be ready for their own pots! This was an accidental Rookie success, which I took all the credit for in order to mitigate the Shrub Garden Debacle we were facing at the same time. We transplanted the stems into pots, and were amazed at how fast they grew. We planted the two “new” shrubs by the end of the Summer that same year, and the following year they easily reached the same size as the original plant! We cut more stems last year, and can’t wait to plant them in another wet area. This time, we might try to keep it on the smaller side with regular pruning. Just like any plant in the Willow family, their roots will seek out water. Avoid planting Dappled Willow near your water pipes, drains, and even any water features as their roots could end up causing problems. Dappled Willow is a very fast grower. Very fast. We’ve seen some plants grow as high as 20+ feet. Ours is in the 10+ foot range. Make sure you plant it where it will have room to grow. (Don’t make my rookie mistake!) 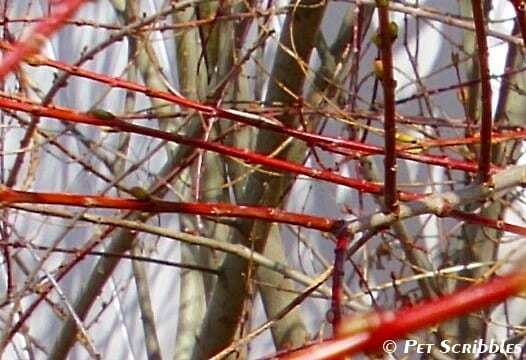 And be prepared for lots of pruning if you want to keep it within smaller gardens. Isn’t it gorgeous? And I only have to wait one more month for this special plant to bloom its pretty heart out! Dappled Willow: an update three years later! 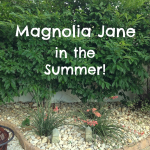 Magnolia Jane in the Summer! 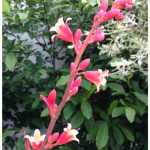 Red Yucca: a gorgeous, long-blooming perennial! 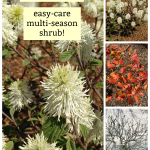 Fothergilla: a unique, easy-care flowering shrub! Very pretty foliage! I don’t really have a good spot for something like that but I love the texture and colors! Thanks for the info! You’re welcome Deneen! And you know what? You’re lucky you don’t have wet spots in your yard as they are a bit of a pain to deal with, especially when your shoes begin sinking into the mud and muck this time of year! I also planted one of those…in the wrong place and I’m not a rookie gardener! All the reading I did plus the tag said it was supposed to be 5-6ft. tall and wide which was perfect for where I put it. Even with several trims a year we had a hard time keeping it in bounds. We finally dug the whole thing out last year (to redo the entire bed) and the root system was outrageous. The roots went at least 5ft. away from the shrub-in all directions with some as big around as my arm. Oh wow, I’m sorry to read this Debbie. But, I know exactly what you mean about those roots: when we dug out our Dappled Willow to transplant, my husband had to really work to get those roots out of the ground. We were surprised how big they developed in just two years! Thanks for sharing! I love the greens— bushes and flowers in your garden. 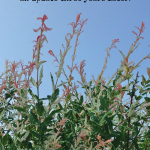 Hopping in from Serenity weekend bloggy reading link up. Gorgeous, Laura! I love your yard, and glad to have learned about the dappled willow. Such pretty colors! Thank you Stephanie! The buds and leaves started popping out all over the Dappled Willow over the past two days! Only a few more weeks to wait for full bloom! Such a pretty yard……Thank you for sharing with the Clever Chicks Blog Hop this week; I hope you’ll join us again! Thanks Kathy! 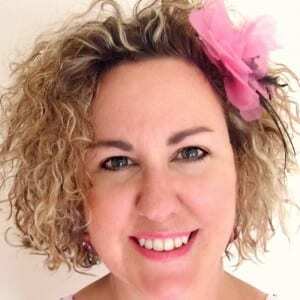 Love your blog hop! So good to know! I love plants and flowers, but don’t know nearly enough about them…this one is pretty awesome. Thanks for sharing! You’re welcome, Niki! If you ever have any questions on plants or flowers, just ask! I may not always have the answers, but I enjoy finding out! Does anyone know how to distinguish between the tree or a shrub of the dappled willow? Some pictures I have seen are trees, but I am not sure how to tell the difference at a nursery? If you’re at a nursery Kate, just ask any of the nursery professionals there for assistance, as they can easily show you the difference! We planted 5 dappled willows 2 years ago as the shrubbery in the front of our house. Our house is set up off of the ground so we needed something that would be tall to cover the stucco foundation. These things really have taken off! We didn’t prune them the first year and I only slightly trimmed the longest stems on 2 of them to hand my Christmas wreath on the front porch. The ones I trimmed definitely look better than the ones I didn’t but they are all SO HEAVY that they droop considerably. I am very happy to read EVERYTHING you wrote about the plant. I will definitely have hubby prune them very well next January so they will come in nice and full and tall without being leggy and droopy. We were also surprised at how well these shrubs took off, Faith! I hope the pruning helps! Keep me posted! I have this in my yard!!!! I actually planted it in a area that is pretty dry and it took off!!! Hooray for Dappled Willow growing in dry areas too! My parents recently planted in a “normal” area of their yard and it also is thriving! 🙂 Thanks for sharing! 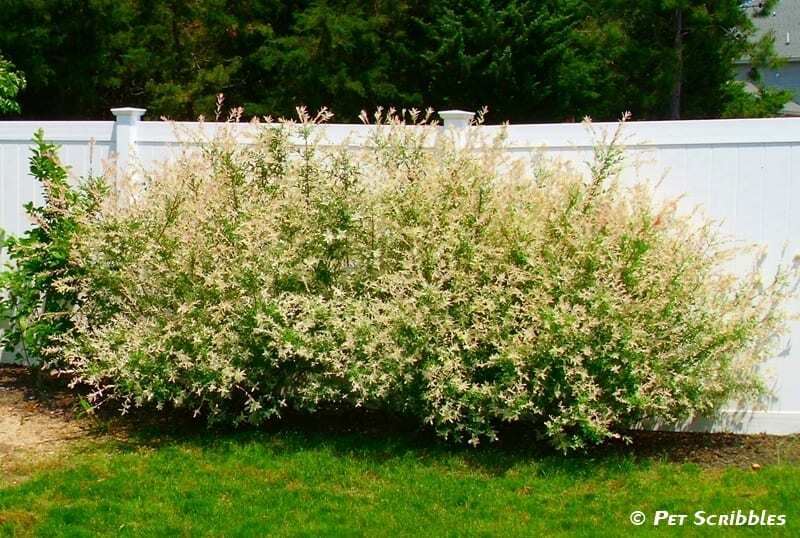 Love dappled willow…I have been thinking about adding it to the very back of my yard because it can get soggy back there when we get heavy rains. You convinced me! I just purchased 3 dappled willows at the 75% off sale at our Rural King, one looked great but the other 2 looked a bit dead but did have life in it. 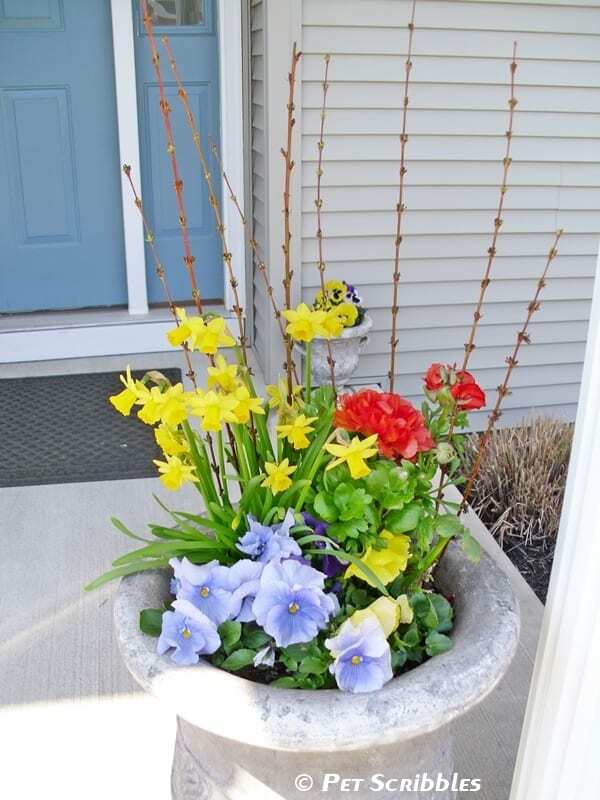 I took an old storage tub and filled it with water and added some fertilizer to perk them up and WOW they are looking good but based on your blog I am going to have to find another spot to plant them as one was going to be near my water meter and pipe. Hmmm…now I have to go search out the best spot for my new residents. I also got a corkscrew willow to put next to my bird feeder and it is growing fast. Ooooh – I love the Corkscrew Willows, Kimmylee! I wish we had one! Hope you can find a good spot for your Dappled Willow. You’ll definitely want to plant it once, i.e. not have to dig it up like we had to do, because it got too big for the small space we put it in. Smart to not put it near pipes, just in case! 🙂 Keep me posted! Please give me some advice on how to protect my Dappled Willows from our harsh winters. We live in zone 3a. My willow is doing great currently but I’m not sure it’s going to survive come next Spring. 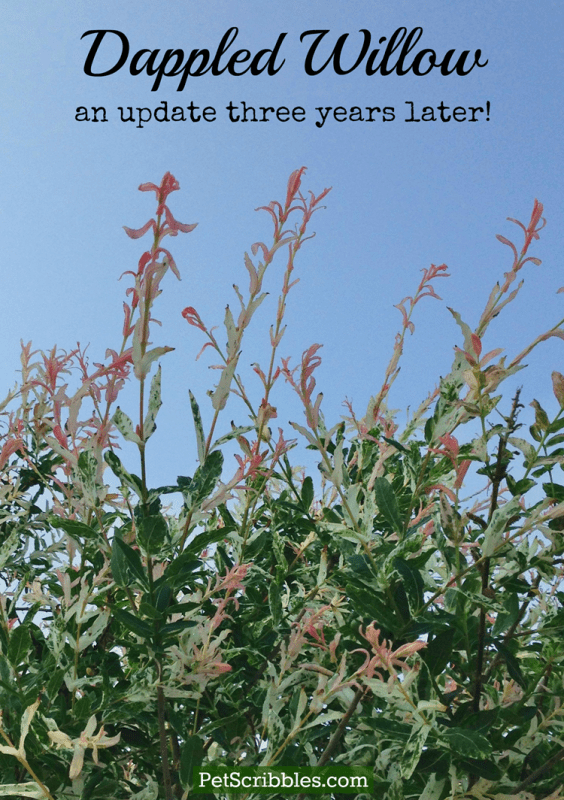 Since Dappled Willow grows well in zones 4 – 9, I’m unsure what to advise for your specific zone 3A, other than this: look up a local nursery or landscaping company in your area and seek their advice. They will know best how to advise you for your specific area. Good luck!